In pre-industrial Japan, aprons were a basic element of everyday dress, worn by children and adults to protect one’s clothing, which was infrequently cleaned. Some form of apron was worn by workers of all sorts, from shop-keeping to field work to fishing. Like other work clothes, aprons were often made of repurposed cloth, as this one is. The base cloth of this apron is slightly unusual in that it is almost double the traditional Japanese loom width of about 13 inches. 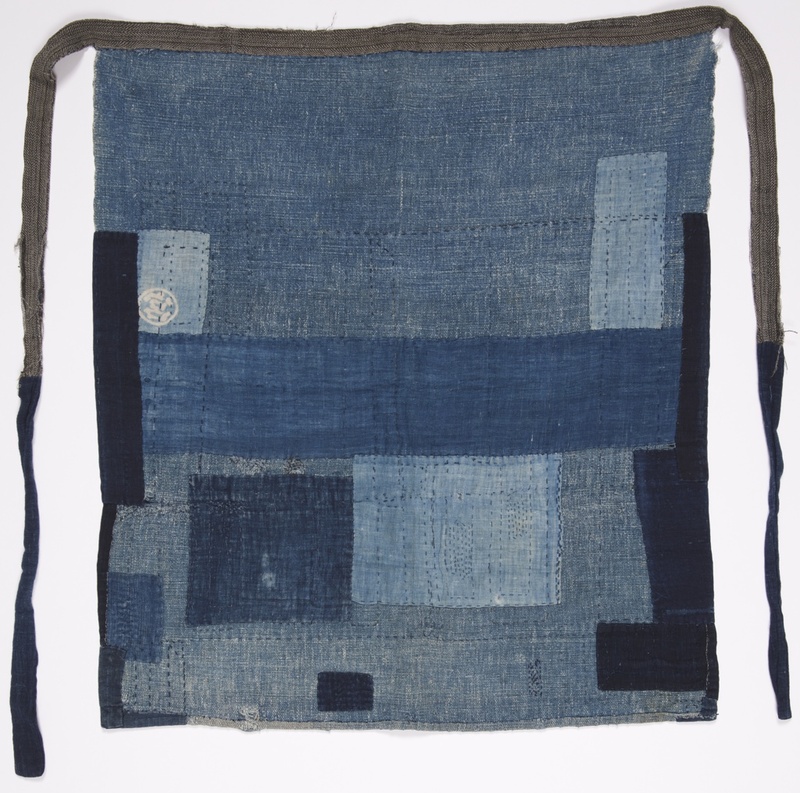 Hand-woven indigo dyed cotton patches are hand stitched to both sides of this apron, and the tie is also patched together from two types of cotton. In its simple utility, this apron embodies the Japanese mottainai, or waste nothing, aesthetic.